Sander Puri's first-half strike was enough for Waterford FC to make it back-to-back wins in the RSC after a 1-0 win against Sligo Rovers on Friday night. Waterford FC are delighted to announce a Tribute to John O’Shea Gala Dinner on Sunday, 11 November in The Woodlands Hotel. Waterford FC will look to make it back-to-back wins at the RSC this Friday with the visit of Sligo Rovers. 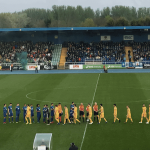 Goals from Sander Puri and Noel Hunt ensured it was all three points for Waterford FC in a 2-0 win to Bray Wanderers on Friday night in front of 1,748 at the RSC. Waterford FC are back in Premier Division action in the RSC for the first time in six weeks this Friday to face Bray Wanderers. 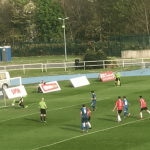 Waterford FC exited the FAI Cup at the quarter-final stage after a 2-1 defeat to UCD on Friday night. Waterford FC make the trip to Dublin again this weekend for an Irish Daily Mail FAI Cup quarter-final tie with First Division leaders UCD.